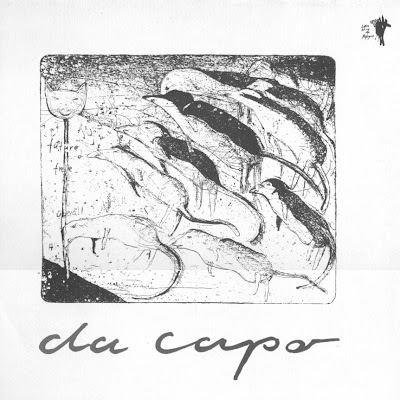 Da Capo were a part of the South German progressive scene. Taking their name from the second Love album, they were heavy influenced by the laid back American west coast sound of bands like Quicksilver Messenger Service and The Grateful Dead. Their privately recorded (in two days) and released (in a few hundred copies) album, Da Capo included excellent tracks like "Find My Way Home", "Young Man" and "Free" - melodic and tuneful songs that were in no way inferior to those of the American bands mentioned earlier. The long instrumental track "A Day In the Rest of My Life" was a nice twin guitar jam, reflecting their live sound. It is sad that the band never recorded in a studio again, disbanding about a year later. Da Capo's legacy is as one of the best German early seventies private pressings. Thanks to the Little Wing label, it's now available once again, featuring a superior, new sleeve design and also a bonus track. Great record, and my recommendation.